September | 2016 | ". . . let God be found true, though every man be found a liar." This program aired on KIUN 1400 AM in Pecos, TX on September 26, 2016. We sometimes say that ignorance is bliss, but it seems likely that most of us don’t believe it. We draw this conclusion based upon the overwhelming human desire to be “in the know”. Most people want to know what is going on, whether at work or at school, in politics and current affairs, in their neighborhood, and even in the church. For some, this desire to know drives them to snoop into other people’s business, or to try to pry information out of others, usually for their own benefit. Rarely are we content to go along blissfully unaware. In some cases, not being informed on some subject may not have any consequences. 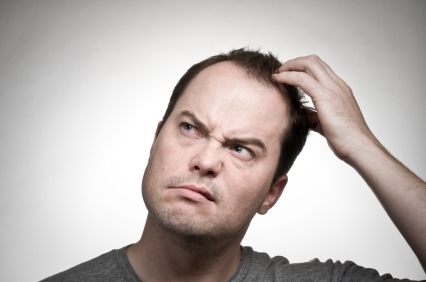 In other cases, being uninformed may result in confusion or misunderstanding. This was the situation in Thessalonica when Paul wrote his first letter to the church there. Some Christians in that city were concerned about the fate of their brothers and sisters in Christ who had died. Since these had died before the Lord returned, they wondered if they would be raised when the Lord came again. The uncertainty because of their lack of knowledge was troubling to them. Paul, of course, readily dealt with these concerns. In 1 Th. 4:13-18 he explained to them that those who had died in Christ would indeed be raised from the dead when the Lord returned. In fact, he said that they would be the first to rise to meet the Lord in the air (v. 16). Then, after the dead in Christ are raised, those who are alive at His coming will rise to meet Him in the air (v. 17). Paul ended this passage by saying, “Therefore comfort one another with these words” (v. 18). It is interesting, though, to notice how Paul began this section of his letter. In v. 13 he said, “But we do not want you to be uninformed, brethren.” He did not want them to be ignorant of this good news. He wanted them to be “in the know” on this important subject. When they knew the truth about the resurrection of the dead, they would be comforted. They would possess hope, because they understood what the Lord is going to do at His return. In this case, ignorance was not bliss. The same is true about everything pertaining to our relationship with God. The scriptures teach us that God wishes for all to be saved and to come to the knowledge of the truth (1 Tim. 2:4). This means that He does not want us to be uninformed about the consequences of sin, and about the opportunity for salvation. Unlike the pagan gods of old, who were aloof and their ways mysterious and unknown, the true and living God has revealed Himself, and has revealed all we need to know in order to please Him. In Rom. 1:18-20 Paul said that God revealed His invisible attributes through creation so we would be without excuse. In 2 Pet. 1:2-3 Peter said that God has granted to us everything pertaining to life and godliness through the knowledge of the one who called us. He granted this information to us through His inspired word, which Paul said equips us for every good work (2 Tim. 3:16-17). In 1 Jn. 5:13 John said that the things he had written were so his readers would know that they have eternal life. So then, because God has revealed everything we need to know in order to be saved, being uninformed, either as to the existence of God, or as to what God requires of us for salvation, will not be an excuse at judgment. In 2 Th. 1:7-8 Paul said that when the Lord returns He will deal out retribution to those who do not know God, and to those who do not obey the gospel of our Lord Jesus. Therefore, it behooves us to take advantage of the knowledge God has made available to us in His word. We do not want to stand before God in judgment, uninformed. This program aired on KIUN 1400 AM in Pecos, TX on September 19, 2016. Modern life has long been characterized as a “rat race,” or likened to a hamster in a wheel. We scurry back and forth from work or school, constantly busy, frequently exhausted, often at our wits’ end trying to make it from one paycheck to the next, and generally without making any measurable progress. Even in the best of economic times it seems that most people are living on the financial brink. It is no wonder that so many are consumed with quiet desperation. 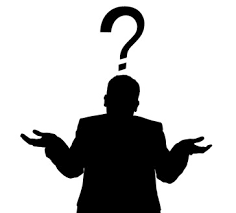 In the highly-charged, partisan political environment of our times it is common to blame such circumstances on the party in power, or on the obstruction of the opposition party. Most of the time it seems clear that the blame may be properly and equally spread among all the politicians, as well as the federal employees who staff the ever-growing governmental bureaucracy. Even so, the fact that life can often become a seemingly fruitless exercise did not originate with modern society. In ancient Judah the very “hamster in a wheel” circumstances with which we are so familiar plagued that nation. In Hag. 1:5-6 the prophet wrote, “Now therefore, thus says the Lord of hosts, ‘Consider your ways! You have sown much, but harvest little; you eat, but there is not enough to be satisfied; you drink, but there is not enough to become drunk; you put on clothing, but no one is warm enough; and he who earns, earns wages to put into a purse with holes. '” The futility of Judah’s economic pursuits is graphically portrayed here. They were working harder than ever to get ahead in life, but they never had enough to get by. 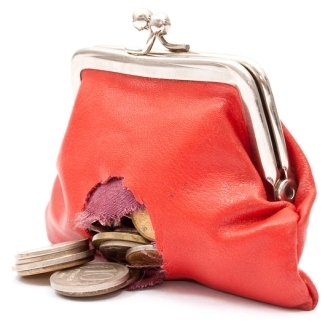 The imagery of putting one’s wages into a purse with holes is powerful. The reason for these conditions, however, had nothing to do with the economic policies of the kings of Judah. In Hag. 1:7-11 God revealed what had brought about these conditions. The people of Judah had become selfish. They had been returned from Babylonian captivity to rebuild the city of Jerusalem and the temple of God. They had done some of this work, but had not completed the temple, God’s house in this context. They had turned their own houses, however, into showplaces complete with paneled walls (Hag. 1:4). Therefore, God told them to consider their ways. He commanded them to get back to work on His house so that their daily labors would again be blessed by Him. This is the heart of the matter as we consider the frustrations of modern life. The reason why so many among us are working harder, but still not making ends meet is that we have become selfish. Many are self-consumed in virtually all that they do. There is very little thought given to God and to spiritual things, and for this reason, I believe, many people are indeed putting their wages into a purse with holes. This is the one and only solution to the “rat race” of human life. If we put God first in everything we do, then we will receive the blessings that will make this life more pleasant and fruitful. If we put God first by honoring Him and obeying His will, then He will provide for our daily needs, and our wages will no longer go into a purse with holes. This program aired on KIUN 1400 AM in Pecos, TX on September 12, 2016. The ancient Jews had a particular custom by which they expressed a variety of emotions. That custom was to rend, or tear, their outer clothing. 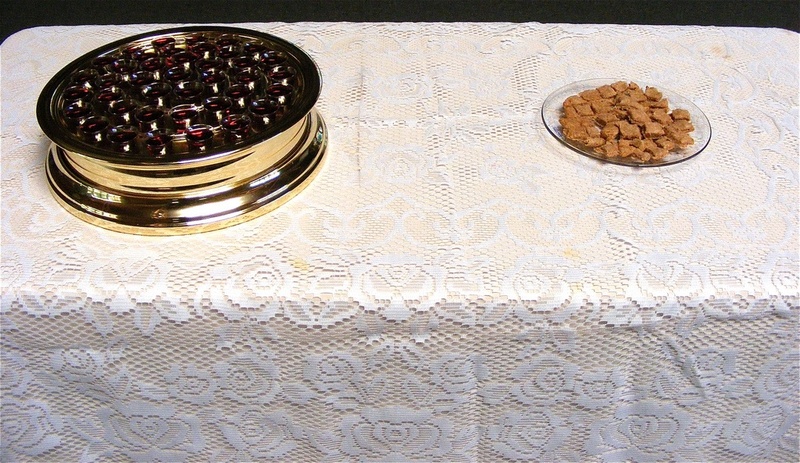 This action could signify outrage, as when the high priest reacted to Jesus saying that the Jews would see Him sitting at the right hand of power (Mt. 26:64-65). 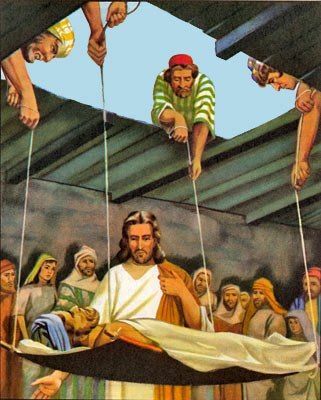 He did this because he considered Jesus’ words to be blasphemous. This action might also signify alarm and concern, as when Paul and Barnabas tore their robes as the people of Lystra attempted to offer sacrifices to them (Acts 14:13-14). The most common purpose for tearing one’s clothing was as a sign of sorrow, remorse, or contrition. If a family member suddenly died, the surviving family would tear their robes to show their grief. In other cases, tearing one’s clothing showed penitence over sin, and the desire to return to God. 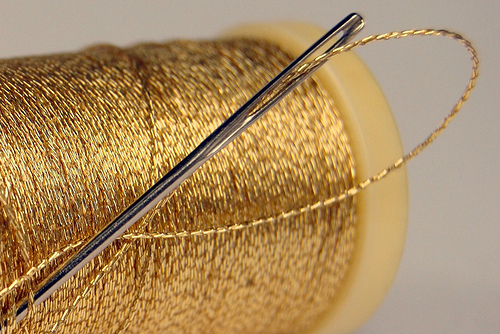 Tearing one’s clothing was the first step in being restored to a right relationship with God. The interesting part of God’s statement is that He called upon Judah to “rend your heart and not your garments.” God was not going to be satisfied with only an outward display of contrition. 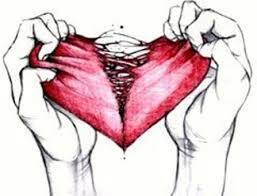 He wanted their hearts to be broken. He wanted Judah to change their attitude about the sin that had separated them from Him. To do this, they would have to take the attitude of the beloved King David. In Psa. 51, which he wrote in the aftermath of his sin with Bathsheba, David said, “For You do not delight in sacrifice, otherwise I would give it; You are not pleased with burnt offering. The sacrifices of God are a broken spirit; a broken and a contrite heart, O God, You will not despise.” Unfortunately, the people of Judah did not rend their hearts. They persisted in their impenitent attitude and God’s judgment came upon them just as He had warned. As we consider God’s plea to Judah, it is just as pertinent today as it was then. In 2 Pet. 3:9 Peter said, “The Lord is not slow about His promise, as some count slowness, but is patient toward you, not wishing for any to perish but for all to come to repentance.” God still calls upon mankind to rend their hearts and turn to Him because judgment is coming for all of us, just as it was for Judah of old. In Rom. 14:12 Paul said, “So then each one of us will give an account of himself to God.” In 2 Th. 1:7-8 Paul said that the Lord will return with His angels, in flaming fire, dealing out retribution to those who do not know God, and to those who do not obey the gospel of our Lord Jesus. This program aired on KIUN 1400 AM in Pecos, TX on September 7, 2016. When the apostles were asked by the Lord who they thought He was, Peter replied that He was the Christ, the Son of the living God (Mt. 16:16). In response to this confession, the Lord said, “Blessed are you Simon Barjona, because flesh and blood did not reveal this to you, but My Father who is in heaven. I also say to you that you are Peter, and upon this rock I will build My church; and the gates of Hades will not overpower it” (Mt. 16:17-18). The truth that Jesus is the Son of God is the rock to which the Lord referred in this statement, and this confession was the rock upon which the church was built. In 1 Cor. 3:11 Paul declared that there can be no other foundation than Jesus Christ. Apostolic teaching was focused on the fact that Jesus is Lord, and that He has all authority in heaven and on earth. This was the solid ground on which the church stood, and on which it grew so rapidly in the first century. 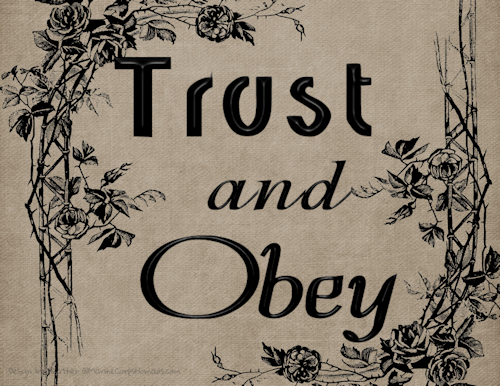 This continues to be the solid ground upon which faithful believers stand still today. Unfortunately, there are many today who are not content to stand on the rock-solid foundation which the apostles laid in the first century. One need only tune in to religious broadcasts on television and radio to see that the simple and solid foundation of the first century has been forsaken by many. 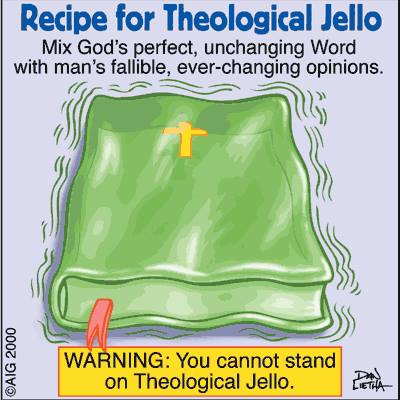 The pure and unadulterated message of the gospel has been mixed with human philosophy, political correctness, and human opinion to create what can only be referred to as “Theological Jello”. We may call it this because the content of much of modern preaching is molded, like jello, to fit the desires and preferences of the church before which it is presented. One church prefers the message of positive thinking and liberal social positions. Another prefers the message of tolerance, and the acceptance of all kinds of lifestyles. It is no wonder that some unbelievers are put off by any mention of the Christian faith. Even they can see that as it is practiced in many places today it is virtually meaningless. Many of us enjoy jello as a dessert, and why not? It is easy to prepare and easy to store. It can be mixed with a variety of other foods and still retain its appeal. It is sweet and goes down easy, and it does not sit heavily in the stomach. Yet, it is little more than sugar and water. It therefore has very little nutritional value. As part of a well-balanced diet it may have a proper place, but it cannot sustain good health by itself. We recognize this in terms of our physical nutritional needs, but we also need to recognize it in terms of our spiritual nutrition. The scriptures teach us to desire the milk of the word so we may grow with respect to salvation (1 Pet. 2:1-3). Yet, even this is not enough, for the writer of Hebrews chastised his readers because they were still feeding on milk instead of having graduated to meat (Heb. 5:11-14). Paul declared that God’s design for the church was for it to be built up by sound teaching so it would not be tossed here and there by every wind of doctrine (Eph. 4:11-16). We can’t achieve this goal with theological jello. We can only do this if we remain firmly grounded on the rock of biblical truth. Paul warned against theological jello in 2 Tim. 2:14-18, when he instructed Timothy to be diligent in order to accurately handle the word of truth. Others, he said, had strayed from this and had upset the faith of some. In v. 19 Paul said, “Nevertheless, the firm foundation of God stands, having this seal, ‘The Lord knows those who are His,’ and ‘Everyone who names the name of the Lord is to abstain from wickedness. '” Therefore, let us not try to stand on theological jello, but only on the unchangeable, rock-solid, everlasting word of God. This program aired on KIUN 1400 AM in Pecos, TX on September 2, 2016.